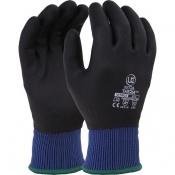 Here at SafetyGloves.co.uk we want to cater to everyone, which is why we strive to source new PPE from across the world that is catered to different peoples needs and tastes. It's because of this ethos that we bring you Vegan Driving Gloves, designed using synthetic leathers and other animal free products to help you drive in comfort. If you want to find out more about our vegan driving glove collection, try calling our customer care team on 020 7501 1104.